I bought this book for a dollar at the local used bookstore, and this is one of the best books I’ve read this year. It is a fantastic character study. Bazarov’s nihilism is perceived at once as a threat to the Russian traditions of the older generation and as a curiosity to Bazarov’s own generation. But, this novel is not really a study of nihilism. We never know whether the author agrees or disagrees with this philosophy. 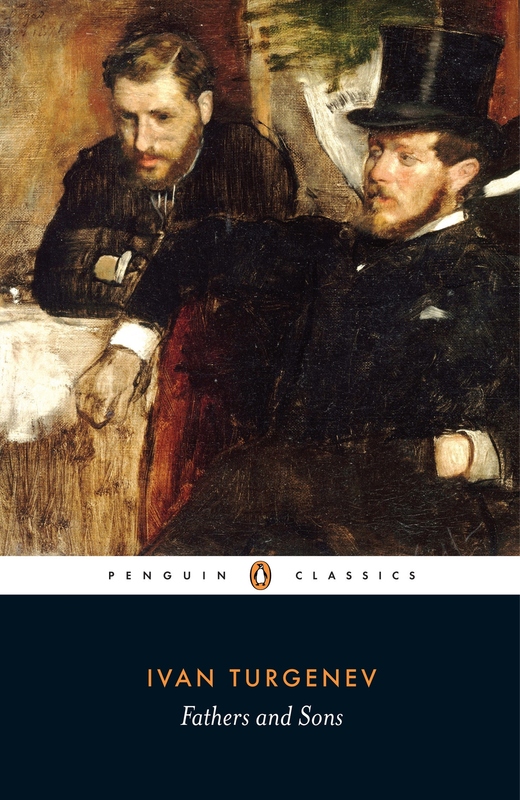 True, nihilism is discussed by nearly every character in the book, but the novel’s central theme is Bazarov’s influence on others. This young doctor cannot be ignored. For most of the story, I did not like Bazarov. He is selfish and views humans as nothing more than a conglomeration of organs. He rejects sentiments, art, and love. In short, he does not give credence to anything that cannot be empirically proven. But Bazarov has some enviable characteristics. Because he rejects everything, he also rejects systems of oppression such as the Russian system of master and serf. Instead of keeping his distance from Nicholas Petrovich Kirsanov’s peasant mistress Fenichka, he frequently and freely offers health services to her son Mitya. What makes Fathers and Sons so unique is that none of the characters in the book are purely lovable or purely despicable. There is a good and a bad side to every character. Even those who reject Bazarov’s philosophy are not fully in the right. Although the novel is only a little less than 200 pages, you really come to know and understand each and every character. The story is less about the message and more about the journey. Arcady’s individual growth stems from the tension that exists between Bazarov and the older generation and Bazarov and his love, Anna Sergeyevna. Even Bazarov has to wrestle with the demands of his own philosophy. If you like character studies, you will really enjoy Fathers and Sons.